Photo "someone had to "pee" in the wall..."
... and spoiled a good subject to a photographer. As a beautiful abstract painting (Mondrian) , this photograph is a wonder. Congratulations, Antonio Matias. Excellent! colors, composition, everything! congratulations.! Vry nice. Is the actual photo! 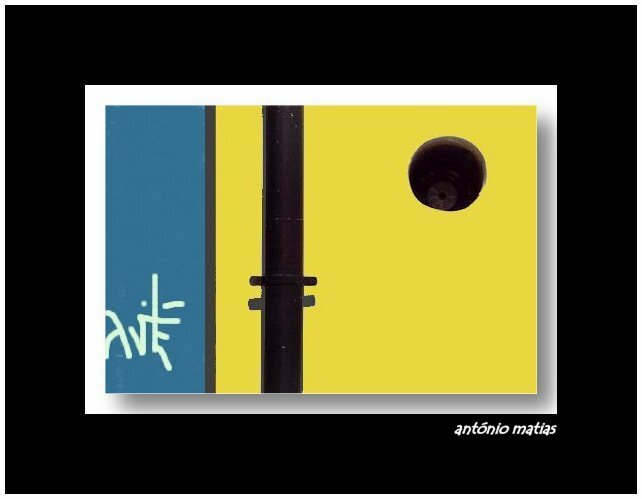 Excellent composition, great colors Antonio !! Excellent work with beautiful colors!